Hardly a week goes by when This Site does not receive a query about the police investigation into possible expenses fraud by 29 Conservative MPs at the 2015 general election. “Why is it taking so long?” is the most oft-repeated question. If the inquiry had been concluded prematurely, then this new information about Nick Timothy would not have come to light. Now, Mr Timothy is also under suspicion of having breached strict civil service rules that banned special advisors from any political activity while they were still receiving their taxpayer-funded salary – so it seems possible that he will face serious reprisals. The Channel 4 report (extract below) demonstrates that the investigation is ongoing, the matter hasn’t been forgotten, and there will (eventually) be a report. Of course, the real question now is, considering the length of time this is taking, will the current Parliament be over by the time any prosecutions are likely to take place? And if enough MPs are removed from their seats, what will this mean for any decisions made by the Conservative Government? 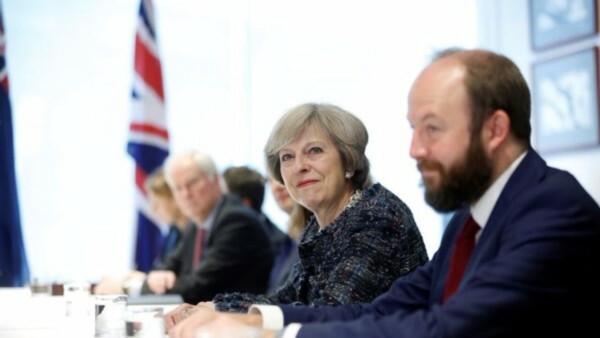 A cache of secret documents obtained by Channel 4 News reveal the Prime Minister’s chief of staff Nick Timothy played a central role in a controversial election campaign now under police investigation. The emails between Conservative campaigners could be crucial to the police probe into whether a Conservative MP properly declared tens of thousands of pounds of campaign spending on his spending return as required by law. Among the documents seen by Channel 4 News is a “message sheet” written by Mr Timothy dictating crucial arguments used to persuade voters in South Thanet to vote for the Conservative candidate. Key sections of that text later appeared word for word on thousands of leaflets that were distributed to voters in the constituency. My personal opinion is that this fraud was too widespread around the nation as a whole to be a one-off. I believe it must have been a planned conspiracy to systematically cover all marginal seats which the Tories hoped to gain. That certainly now explains why the local Thanet Cons have out of the blue gone media in claiming that Farage fudged his electoral expenses and shouting foul. Not a whisper from these low lifes since the Thanet election that they won. So why now….? They can now see the fan whirring at full speed and a large mound of excrement heading towards those fan blades! About time they got buried in the most appropriate material. I also share your fears with regard to snail progress on all the other Cons electoral issues and the not unreasonable thinking that the police enquiries are being manipulated to stretch the situation until the next election which does not look good on the police being in the pockets of this Government. If there has been fiddlying going on, which has led to a Cons majority in Parliament and an illegal take over of power in the UK, I cannot think of a stronger case to persue this illegal situation. Obviously would not look good globally that the UK is a reflection of all that is correct in politics and should be mirrored by third world countries but equally means the whole crock of dodo that was the referendum and brexit is null and void. No wonder the brakes are fully applied on the police enquiries however the police are non-political so this would never happed in this Country……. This does not surprise me at all. What pressure are the Tories putting on the police to slow this enquiry? Or perhaps like the Chief Constable of Norfolk commented yesterday on child protection, the police do not have the resources! Well ok… if it hadn’t dragged on we might not have found out. But tht doesn’t answer the question why is it taking so long? And why hasn’t any action been taken? At the moment we have laws about election expenses which seem to have been flouted but there has been no consequence to any of the MPs or the parties, and so the general public are left wondering if there will ever be a consequence. Tories make their own rules up on many things…this sounds ‘fishy’ to say the least. Perhaps they are being granted more time to get ‘their story’ right and possibly before the police say that their is not enough evidence to continue the investigation, or prosecute ? THIS GOVERNMENT MUST BE THE MOST ROTTEN TO THE CORE OF ANY PREVIOUS GOVERNMENTS AND IT IS NO WONDER THAT THE COUNTRY IS IN SUCH A MESS ..